I can not believe it is already 2018 and that I have not had a blog post in what seems like forever. Clearly, it has been a busy and productive end of 2017 or perhaps I would have written more. Perhaps not! At any rate, I will once again resolve to be more active on my blog this year and include more of what I am doing with research and teaching. 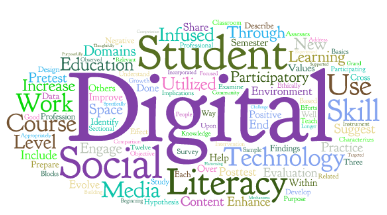 I did want to share that I have finished as the Guest Editor for a special issue on digital technologies in the Journal of Nonprofit Education and Leadership. It was exciting and I think we ended up with some great articles that really provide some great additions to the literature. Unfortunately, I am not allowed to share the articles because the journal requires a subscription, which you can find more about here. Perhaps your library may also be able to get access to the issue, which is the Journal of Nonprofit Education and Leadership (2018) Volume 8, issue 1. Best of luck in this New Year.